Why is potassium an important nutrient in your child's diet, and what foods are high in potassium? What happens if your child's potassium level is too high or too low? Potassium is an important mineral that some parents look to increase in their children's diet, especially if kids start complaining of things like growing pains. 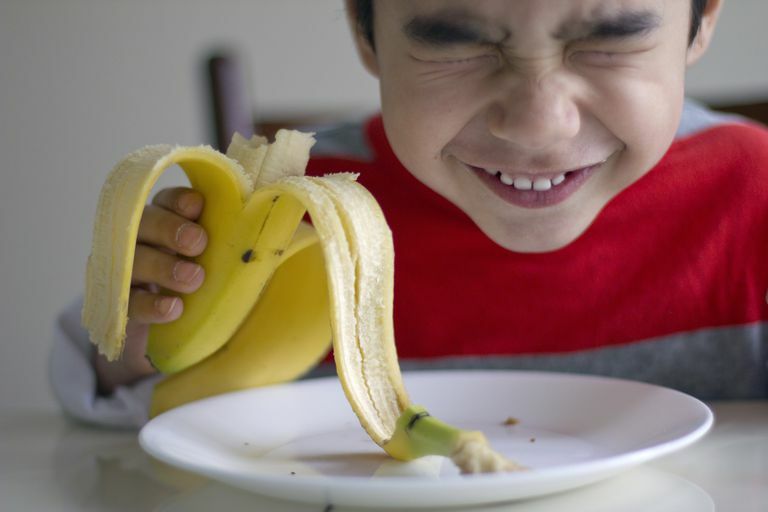 Fortunately, most children get enough potassium if they are eating a well-balanced diet with lots of fruits and vegetables, or foods that are fortified with potassium. If your child isn't getting enough potassium or if he has lost too much potassium when he is sick (like when he has vomiting and diarrhea that leads to dehydration or excessive sweating), then he may start to show effects of a potassium deficiency (hypokalemia). Symptoms of potassium deficiency can include muscle weakness and heart rhythm abnormalities, which usually require immediate medical attention. Take a moment to familiarize yourself with the symptoms of dehydration in children. While dehydration is one of the most likely reasons your child would develop a low potassium level, it can pose dangers that go far beyond hypokalemia. Some of the more common symptoms include a dry mouth and tongue, decreased urine output, and cool extremities. When it comes to dehydration, an ounce of prevention is definitely worth a pound of cure. Take time as well to familiarize yourself with the management of dehydration in children. Some of the best treatments for restoring fluids, such as oral rehydration solution and the BRAT diet, can help restore potassium levels as well. Keep in mind that getting too much potassium (hyperkalemia) is just as dangerous as not having enough. However, it is unusual to get too much potassium just from your diet without also taking a potassium supplement of some kind or having some kind of kidney problem. Hyperkalemia can cause serious problems such as heart rhythm problems as a first symptom, so it is important to not use supplemental potassium tablets unless your pediatrician specifically recommends this. Other symptoms of high potassium can include severe fatigue and numbness and tingling of the extremities. Recommended intakes for potassium range from 3,000mg per day for a toddler to 4,700mg per day for a teenager. While few parents will actually have to count how much potassium their child is getting each day, reviewing this list of foods rich in potassium can help ensure that your child isn't leaving all or most of these foods out of his diet and may not be getting enough potassium. Some children may also require a low potassium diet (potassium restriction diet.) This is uncommon but may occur in children with severe kidney disease. The diet for severe kidney failure, in addition to restricting potassium, often includes increasing protein. U.S. National Library of Medicine. High potassium level. World Health Organization. Guideline: Potassium Intake in Adults and Children.